Odette Marie Céline Brailly was born to French parents in Amiens on 28 April 1912, the first of three children. Her life was touched by war at an early age when her father was killed at Verdun, just a few weeks before the end of the First World War. She also suffered a string of serious illnesses, one of which left her blind for nearly two years, and another which left her bedridden for months. Despite her fragile state her irrepressible, headstong nature could not be tamed by the sisters of her convent school at Amiens, and in 1926 she moved to Boulogne with her mother. There she met an English hotelier, Roy Sansom, whom she married in 1931. After the birth of her first child, Françoise, they moved to London where she had two more daughters, Lili in 1934, and Marianne in 1936. When war was declared in 1939, Roy joined the army and Odette and the children moved to the safety of Red Ball, a tiny hamlet on the Somerset/Devon border. Life was relatively peaceful in this sheltered backwater, and it was not until the spring of 1942 that she came to SOE's attention, when a BBC appeal on behalf of the Admiralty asked listeners to send in any old postcards or photographs of the French coastline, as a source of intelligence for future operations. Odette mailed off a few snapshots from her time in Boulogne, adding that a note to say that she was French by birth and knew the area well. She addressed her letter to the War Office by mistake, a simple slip which would change the course of her life. Shortly after she was invited to a mysterious interview in a shabby hotel with novelist Selwyn Jepson, the recruiting officer for SOE's French Section, who didn't take long to recognise her potential worth as an agent. She reluctantly left her daughters in the care of a convent school, and began her training in July. Odette was one of the first women recruited by SOE for undercover work, the decision to send female agents having only just been agreed. To provide some 'cover' in case of being arrested as a spy in Occupied France, she joined the FANY (First Aid Nursing Yeomanry), a voluntary corps which supplied SOE with its drivers, cipher clerks, telephonists and administrators. She passed several stages of training, including parachute school (during which she suffered concussion after a heavy landing) and the 'finishing school' at the Beaulieu estate in Hampshire, where students would learn how to operate in enemy territory. Her reports from Beaulieu could almost have been written by her convent school teachers, describing her as enthusiastic and able but also "excitable and temperamental", "impulsive and hasty in her judgments" and concluded that "her main weakness is a complete unwillingness to admit that she could ever be wrong." For the head of the French Section, Major Maurice Buckmaster, this was not as damning as it might appear: a number of students who later proved themselves invaluable 'in the Field' also received less than glowing reports, and he allowed preparations for Odette's mission to continue. Her first objective would be to contact a resistance group on the French Riviera, before moving north to Auxerre in Burgundy where she would establish a safe house for other agents passing through the area. Her false identity, loosely based on her real life, would be that of Madame Odette Métayer, a widow from St Raphaël. When the moment came to leave there was trouble with her flight, which meant that Odette had to take a ship bound for Gibraltar, then make an uncomfortable Mediterranean crossing with five other agents in one of SOE's feluccas, a type of narrow sailing boat. She was finally put ashore on a secluded beach near Cassis on the night of 2/3 November 1942. Soon all her carefully arranged plans in London would be in tatters. 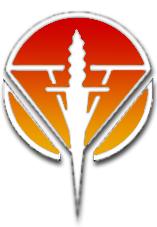 She was successful in making contact with 'Raoul', better known as Captain Peter Churchill, the charismatic head of SPINDLE, an SOE network based in Cannes. But Churchill's work relied on the help of a quixotic artist named André Girard living at nearby Antibes, and when Girard flatly refused to help Odette reach Auxerre she was left stranded on the Riviera. With no clear idea of what to do next, Churchill asked whether she would run an errand for him instead. At this time Odette was not the only stray agent in Cannes; in fact the town was awash with them. They also came to Churchill for help, and sometimes ended up working for him instead. One of these chance recruits was Adolphe Rabinovitch (codenamed "Arnaud"), a foul‐mouthed, humourless Jewish Egyptian wireless operator who was now burdened with transmitting SPINDLE's enormous backlog of messages to London. After making a successful trip to Marseille to deliver a suitcase Odette quickly convinced Churchill that she would be another useful workhorse, and he obtained Buckmaster's consent to scrap her original brief. Despite her puritanical attitudes to black market restaurants and the few remaining traces of the good life on the Cote d'Azur, Odette agreed to stay on. If nothing else, Churchill had plenty of work to keep her busy. On 11 November the Germans invaded the "unoccupied" or Vichy zone of southern France, which sparked a power struggle between Girard and his chief of staff, Henri Frager. Churchill agreed that both should fly back to London to work out a solution, but a succession of blunders held them up. By January 1943 the network had descended into chaos, and Odette, Churchill and Frager were nearly caught in a German ambush during an attempt to fly them out from a secret landing field near Périgueux in the Dordogne. To make matters worse the Gestapo had begun raiding resistance hideouts in Cannes: aware of the presence of British officers in the area, they were now hot on the heels of SPINDLE, and it would only be a matter of time before all its agents were all hunted down. Churchill decided to move his team immediately to the relative safety of St Jorioz, a village in the Haute‐Savoie close to the Swiss and Italian borders. Churchill and Odette were taken in by the couple running the Hotel de la Poste, Jean and Simone Cottet, while Rabinovitch took his wireless set to Faverges, a village about ten miles away. Having established themselves in the Alps, Churchill was finally able to fly back to London in March, while Odette and Arnaud were left to hold the fort. Odette was relieved to be away from the Riviera, but she now faced a new and much more insidious threat, this time from a member of German military intelligence. Within hours of Churchill's departure Sergeant Hugo Bleicher, the Abwehr's star spycatcher in France, had captured an agent of Frager's named André Marsac in Paris. Skilfully gaining Marsac's cooperation, Bleicher started to infiltrate Churchill's network: posing as "Colonel Henri", a disaffected Wehrmacht officer wanting to help the Allies, he was given a guided tour of St Jorioz, including a visit to the Hotel de la Poste for lunch where he was able to glimpse Odette for the first time. She did not believe Bleicher's story about wanting to defect to the British, but Odette and Arnaud chose to await the return of Churchill before taking any action. On 15 April 1943 Churchill parachuted back to them safely, but disaster was only hours away. Believing that Bleicher would not return to St Jorioz until a few days later, Odette persuaded Churchill to come back with her to the Hotel de la Poste. The following evening there was a knock on their door and Odette was asked to come downstairs to see "a strange man". As she walked to the reception, she was greeted by the sight of Bleicher waiting for her, accompanied by several Italian soldiers. She and Churchill had been caught completely by surprise, and with no hope of escape. Bleicher agreed to place them both in Italian custody at Annecy barracks nearby (Italy now occupied a large part of south‐eastern France), temporarily delaying their interrogation. After a week's respite they were at last taken by train to Paris and driven to Fresnes prison, which was crammed with a miscellany of French resisters and dissidents, SOE agents and common criminals. Strict orders were given for Odette and Churchill to be kept in solitary confinement, but they did receive one eager visitor – Colonel Henri. He wasted no time in attempting to get Odette to talk, but she said nothing and refused all his bribes. Realising she would not be persuaded, he reluctantly left her to the less sophisticated methods of the SS. After two weeks at Fresnes Odette was taken to 84 Avenue Foch, the headquarters of the Sicherheitsdienst, the Nazi counter‐intelligence service. When she refused to give away the location of Rabinovitch she was tortured, though controversy about its extent – in particular, whether her nails were pulled out (a later medical report was inconclusive) – became an item of morbid fascination for post‐war British journalists and authors. Over the following months Odette and Churchill were summoned to see Bleicher again, or to Avenue Foch for more questioning. Although there seemed little hope for either of them Odette had been able to convince her gaolers both that she was married to Churchill, and that her husband was a relation of the British prime minister (a rumour started by Marsac after his arrest). This only gained her slightly better treatment for now, but would later save her life. By October 1943, the effects of torture and the deprivations of Fresnes were beginning to take a serious toll on Odette's health. She had trouble walking, had developed a large swelling on her neck and was also suffering from stomach problems. No treatment was forthcoming, but she was at least moved to a communal cell, and allowed to spend some time in the sewing room (the dolls she made are still on display at the Imperial War Museum in London). In the new year the decision was taken for Churchill – now mistakenly believed by the Germans to be a very important prisoner – to be moved to Berlin, but the fate of Odette continued to hang in the balance. Having already been condemned to death some months earlier, every morning still brought with it the possibility of execution. In May 1944, after more than a year of imprisonment, she was unexpectedly taken to Avenue Foch to join a group of seven other women: André Borrel, Diana Rowden, Madeleine Damerment, Yolande Beekman, Sonya Olschanezky, Vera Leigh and Eliane Plewman. All of them were fellow SOE agents who'd been captured working for various networks across France. Packed aboard a train at Gare de l'Est, they were unsuspecting victims of 'Night and Fog', the Nazi policy to erase all traces of the enemies of the Reich by deporting them to camps in Germany, Austria and Poland. They arrived together at Karlsruhe prison near the western German border, but in early July Odette's new comrades suddenly disappeared, and a week later she herself was moved on to Frankfurt. Unknown to her, by September all the members of her former group would be dead: Borrel, Rowden, Olschanezky and Leigh were deported to Natzweiler concentration camp where they were given lethal injections, while Damerment, Beekman and Plewman were shot at Dachau. 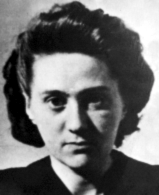 Following several days locked in a cage with two other women, Odette endured further squalor and Gestapo brutality at Halles before arriving at the women's concentration camp at Ravensbruck on 26 July. Having been informed that Mrs Churchill was amongst the new intake, the camp commandant, Fritz Suhren, had her thrown into a completely dark cell in the bunker on a starvation diet. Following the Allied landings in southern France in August, the SS imposed even worse conditions, on the grounds that she'd helped the invasion by sending details of a plan of the naval base at Marseille to London (the result of one of her courier jobs in Cannes). All food was withdrawn and the heating was turned up in her cell. Found unconscious by the wardress one morning, the camp doctor reported that she would not survive more than a few weeks in her current conditions, but she was returned to her cell all the same. In December Suhren made his usual monthly visit, after which he immediately ordered Odette to be moved to a normal cell upstairs: with Germany's defeat edging ever nearer, he needed to ensure that his special prisoner was kept alive. After the return of basic privileges, Odette soon realised that her new cell was located just a few yards from the crematorium; the terrible sounds she often heard convinced her that some prisoners were burnt to death. In January three more of her French Section comrades – Denise Bloch, Violette Szabo and Lilian Rolfe – would be held in the bunker and executed within earshot. It was another four months before the Allies got near enough to trigger her evacuation, a fourteen‐hour journey to the camp at Neustadt. On the afternoon of 1 May 1945, Suhren, who had escorted her from Ravensbruck, suddenly ordered her to get in his black Mercedes and drove out of the camp. Now expecting to be shot in the nearby woods, she was incredulous when he explained his intention to hand her over to the Americans, in an attempt to lessen his inevitable sentence. He was true to his word, and when they reached the Allied lines Odette personally accepted his surrender and his Walther pistol. But his plan to evade justice failed: partly due to the evidence she later gave at the Nuremburg trials, he would eventually be sentenced to death by a French military court in 1950. She arrived back in London a week later to find that Churchill, of who she'd heard nothing since leaving Paris, had miraculously survived the concentration camps at Sachsenhausen, Flossenburg and Dachau, though Rabinovitch had been executed in 1944, having been parachuted into the waiting arms of the Gestapo on his second mission. Odette required months of intensive medical rehabilitation, and her doctor reported that she was being treated for nervous tension more than a year after her return. For her services Odette was awarded the MBE, and in 1946 she became the first woman ever to receive the George Cross, the highest non‐military decoration for gallantry (two other women agents, Violette Szabo and Noor Inayat Khan, were awarded the George Cross posthumously). Following a divorce from her first marriage, Odette's relationship with Peter Churchill was rekindled and they married in 1947. This "wedding of spies" attracted huge media attention, which was further escalated with the success of Jerrard Tickell's bestselling biography Odette in 1949, and Herbert Wilcox's film the following year, with Anna Neagle in the starring role (Michèle Morgan and Ingrid Bergman had both turned it down, Bergman feeling that Odette's story would be too harrowing to attract public interest). Odette and Churchill accompanied the cast during most of the filming, and revisited many of the real life locations, including 84 Avenue Foch where she had been interrogated. According to Neagle and Wilcox, it was one of the two occasions when they saw Odette break down; the other was when they shot the interrogation scene later in the studio. The charity premiere was held at the Plaza Theatre in London on 6 June 1950, attended by King George VI. By the standards of its time Wilcox's depiction of Nazi brutality was unusually stark, and the end of the film provoked several minutes of silence from the audience, followed by continuous applause until the lights went up. The portrayals of Odette in Tickell's biography and Herbert Wilcox's film installed a definite type of female SOE agent in the British popular imagination, which has strongly influenced SOE‐inspired biographies, films and novels ever since. After Churchill divorced Odette in 1955 she married Geoffrey Hallowes, another member of SOE who had served in France. She took an active role in public life, supporting the Victoria Cross and George Cross Association, and became Vice‐President of the FANY in 1967 and later president of 282 (East Ham) Air Cadet Squadron. For many, Odette personified the sacrifices made by SOE's women in France, and certainly no other agent became so well known by their first name alone. But her entry for Who's Who was modest, her occupation being listed as "housewife" and her interests as "reading, travelling, cooking, trying to learn patience." Her wartime record wasn't immune to criticism. Following the release of Herbert Wilcox's film, several former resisters – including former SOE agent Francis Basin and CARTE's leader André Girard – were irritated by Odette's popularity and accused her and Churchill of exaggerating their wartime record for personal gain. Bitter in-fighting between former SPINDLE and other SOE agents featured regularly in the British press during the late 1950s, and in 1966 historian M.R.D. Foot's history SOE in France suggested, among other things, that she and Churchill had led a luxurious life on the Riviera at SOE's expense. Though upset by his comments she accepted a public apology, while Churchill pursued a libel case. Offending passages relating to both of them were removed from later editions. Nearly half a century after her deportation, Odette returned to Ravensbruck to unveil a memorial to the women of the French Section who were executed there during her captivity. She died at her home in Surrey in March 1995, at the age of 82. Every year she had laid a wreath beneath the FANY memorial at St Paul's Church, Knightsbridge, to which was attached a small bunch of violets, in remembrance of her SOE comrades who failed to return. A plaque to her memory has been added since, and the tradition of leaving violets continues. More recent biographies include Odette: World War Two's Darling Spy by Penny Starns (2009) and Code Name Lise, by Larry Loftis (2019). In 2012 Odette was featured in Royal Mail's 'Britons of Distinction' stamp collection. Odette by Jerrard Tickell (Hodder, 2008). Odette: World War Two's Darling Spy by Penny Starns (History Press, 2009). Heroines of SOE: Britain's Secret Women in France by Beryl E. Escott (History Press, 2012). Odette (1950, b/w). Starring Anna Neagle, Trevor Howard. Directed by Herbert Wilcox.